Jennifer Matarese interviews Hope Davis about starring as Jill Carlan on ABC's "For The People." NEW YORK -- Season two of ABC's legal drama "For The People" is in full swing, and tonight's episode tackles the issue of immigration and family separation. 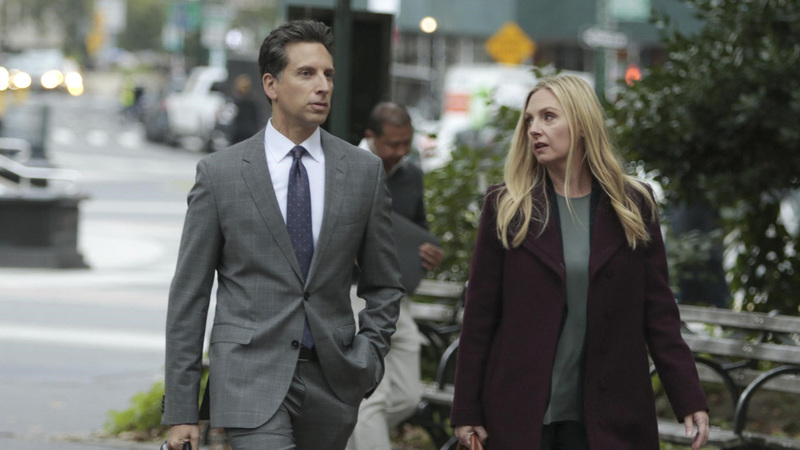 Hope Davis' character Jill Carlan heads up a team of young public defenders. She feels that it's important the show shines a light on current events affecting our country. "What's coming up tonight is an undocumented person goes into court to testify, he's asked to come and testify in a case, he leaves the courtroom and there are ICE agents waiting for him," Davis said. "What they don't know is that his kid is sitting around the corner, his little boy. This is happening in this country right now." Davis said that each week, the show takes on a new issue. "I would say every single episode is dealing with something that is fairly topical, something that people are talking about." Viewers can quickly catch up on what's going on in the attorneys' ongoing storylines. "The show is really about these cases and how these two sides work together on these cases," Davis said. "I don't think you're going to see me at home making coffee." However, Jill does have a steamy and somewhat star-crossed love life as she's dating the chief of the criminal division in the U.S. Attorney's Office Roger Gunn (Ben Shenkman). She actually got to do an action scene with him as last week's episode showed them targeting in a swatting case. "The filming of it was really fun because I didn't have to remember any legal terms and I didn't have to give any closing arguments so it was actually really fun to do an action scene," Davis said. "Everybody on set was really excited because on our show it's handling really serious issues and there are court cases and it was fun to have an action sequence." Although she isn't prominently featured in the immigration case this week, Davis says that her character comes to the forefront in episode four. "A young man confesses to a crime after 18 hours of interrogation in a small room," Davis said. "We've been able to spend time with the public defenders of New York and I asked them how often false confessions happen - because nobody would really do that right? Confess to a murder? And they said it happens all the time!" You can see Davis and the rest of the ensemble cast of "For The People" tonight at 10/9c on The ABC Television Network, streaming and on demand. Thursday night's episode tackles immigration and family separation.